Along with orange chicken, Panda Express is serving up Miracles for the kids treated at our hospital. Since 2007, Panda Express has raised more than $37 million for Children’s Miracle Network Hospitals. 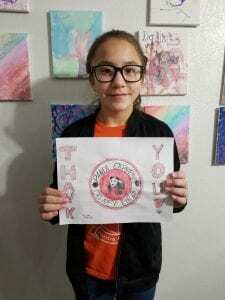 In 2018, more than 45 local Panda Express locations raised over $449,000 for Children’s Health. Over the next couple months, various locations will be visited and receive a certificate highlighting the amount each store had raised. Along with the certificate they will also receive artwork by wonderfully talented patient Kristin and a Panda Care Kit. 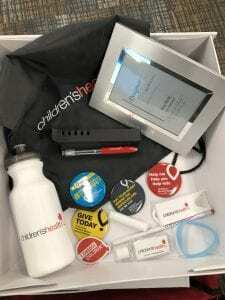 These Panda Care Kits are designed to congratulate the top fundraising employee each month and are filled with assorted Children’s Health and Children’s Miracle Network swag. Wondering how you get your Panda on and help kids like Kristen? Stop in at any Panda Express location and drop your change in our canister or round up your purchase at the register. We’re grateful to all Panda Express customers and associates for helping make miracles happen at Children’s Health. Have a favorite dish? Share in the comments below!